"Play a game with your favorite characters from the Harry Potter saga in the Harry Potter Goblet of Fire video game." If you are a fan of the Harry Potter series, you will probably enjoy playing the video games for the series. 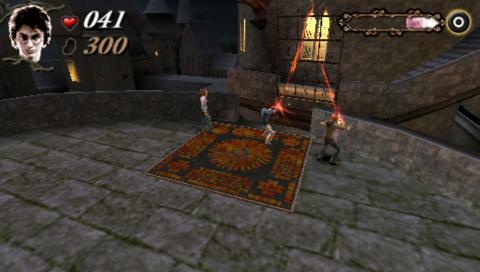 This is the Harry Potter and the Goblet of Fire video game that is based off of the movie. You get to play your favorite character from the saga in this video game that brings your through your favorite moments in the movie in a video game that will allow you to get involved and actually play through the events from the movie. As with any video game that is based on the movie, you are able to play as the characters from the movie in the video game. You can choose to play either Harry, Ron, or Hermione in this fun, action video game based on the actual story from the book and movie. Using characters that look just like the characters from the movie with decent graphics for its time, you get to play through the actual events from the book and movie in the Harry Potter and the Goblet of Fire video game. The video game is compatible even with the newer versions of Windows, even through it was made quite a few years ago. The graphics from the game have aged pretty well and still look pretty good to this day. The gameplay in the game is pretty fun and keeps you interested in playing. The HUD in the game is quite simple and the controls are very easy to get used to. This game can be played by children and adults that are fans of the Harry Potter saga.